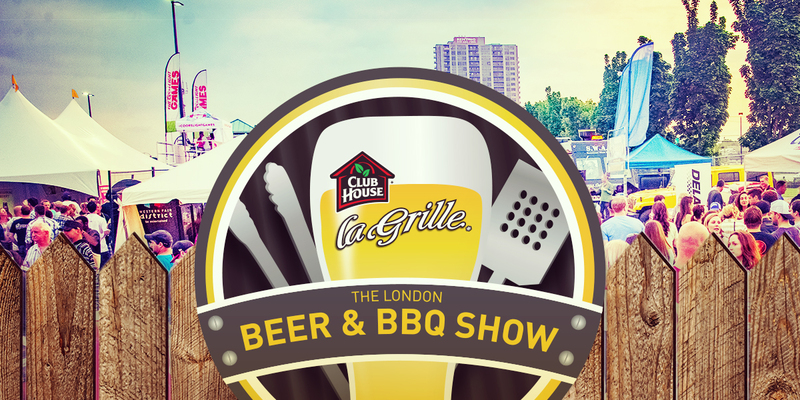 London’s kick-off to summer is here with the Beer and BBQ Show presented by Clubhouse LaGrille. The show runs June 17th – 19th at the Western Fair District’s Metroland Media Agriplex. To quench your thirst we have brought together all of Canada’s top breweries and over fifty beers from Ontario’s established culture of craft beers. And, if beer isn’t your style check-out our wine garden or sample from a selection of coolers, ciders, wine beverages and liquor brands. To complement the ice cold beverages indulge in the Beer and BBQ Show’s serious summer sizzle served up smoked, BBQ’d, grilled, sliced, diced, chopped and sauced. Be entertained with a side of summer fun in the form of backyard games, live music, cooking demonstrations, cook-offs, taste-offs and more. Bring your best buddies and challenge them to a good ole’ game of Steam Whistle Tailgate Toss! Compete in pairs in a 64 team, bracket style tournament for bragging rights and fantastic prizes. The tournament commences at noon on Saturday, June 18th at the London Beer & BBQ Show. Teams can register by purchasing the Steam Whistle Tailgate Toss Wingman Package for $55* (includes admission for 2 to the show, 30 sample coupons and tournament entry fee). Looking for a new BBQ or BBQ accessories? Check out the London Beer & BBQ Show for the hottest deals, speak with knowledgeable experts and, best of all, purchase your dream BBQ right at the show! We’ve marinated up a saucy run that promises fitness, fun, food and good times. Run to the BBQ is a 5K, early evening jaunt that kicks off outside the Metroland Media Agriplex. Follow your nose back to the finish line for a post-race party featuring awards, ribs and the best brisket in town! 19+ Participants will also receive 1 ticket to the Beer & BBQ Show to continue the party! See the best in the business share their secrets of sauces, rubs, smoke and grilling for the best BBQ you’ve ever tasted. Seminars, demonstrations, activities and more! ChefD believes in sharing his passion for food with others, and keeping recipes simple, easy, and incredibly tasty! Sean Hickey is a lover of BACON, watch him prepare and sample his signature dishes! Join Cathy Potvin “The Queen of the Q” on tips to making the perfect steak. Taste the perfect steak marinade and learn about the performance of a Quality Broil King BBQ. A friendly competition between local radio stations to see who cooks it best! Winner’s from our Facebook contest will put their brew tasting skills to the test as they compete to win a $650 BBQ & Accessory Gift Pack from Broil King! Experience live music on the OLG Music Stage at the London Beer & BBQ Show! Advanced tickets are available online, in person at guest services or by calling 519-438-7203. Advanced ticket sale ends June 16th, 2016 at 11:55PM. Good for use on any ONE day of the London Beer & BBQ Show - June 17th, 18th or 19th, 2016. Includes Two (2) Admission Tickets and 30 Sample Tokens to the London Beer & BBQ Show. Good for use on any ONE day of the London Beer & BBQ Show - June 17th, 18th or 19th, 2016. Sample Coupons will also be available for purchase at the show for $1 each. *Plus applicable taxes and service fees.